Note: Portions were copied over from the 2015 Blu-ray review. All in all, it’s a fine entry in the DCUA but not close to being the strongest. I am, however, interested to see where they take this series and hopefully continue with a sequel-like model connecting each of these storylines. Audio Commentary — Mike Carlin and Heath Corson. 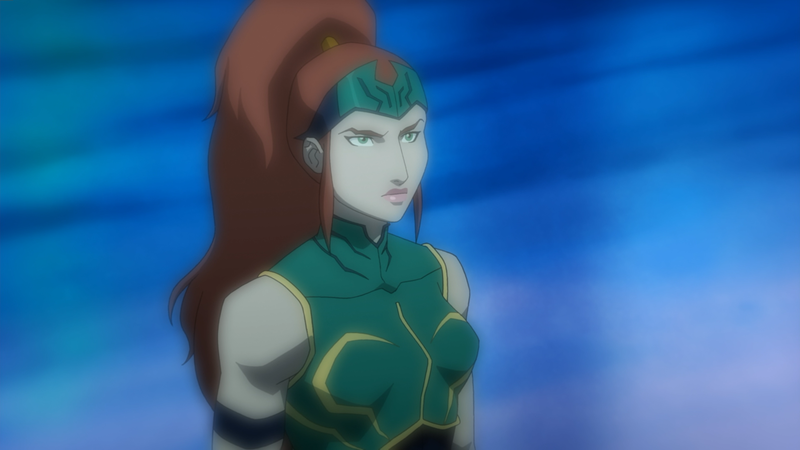 Basic commentary but still nice to have one for this DC animated movie as the comic book writer and feature film writer discuss the film and the source material it was pulled from. 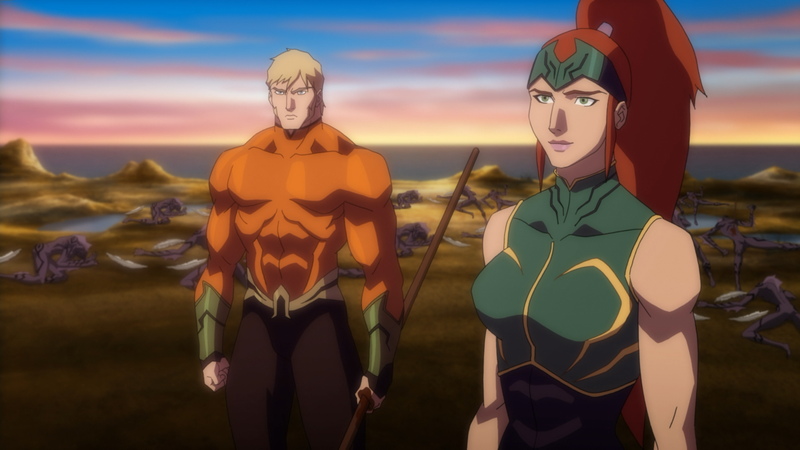 Justice League: Throne of Atlantis: Aquaman: The New King (14:50) — This new featurette explores Aquaman’s background from his origins to how he has evolved or changed over the years. 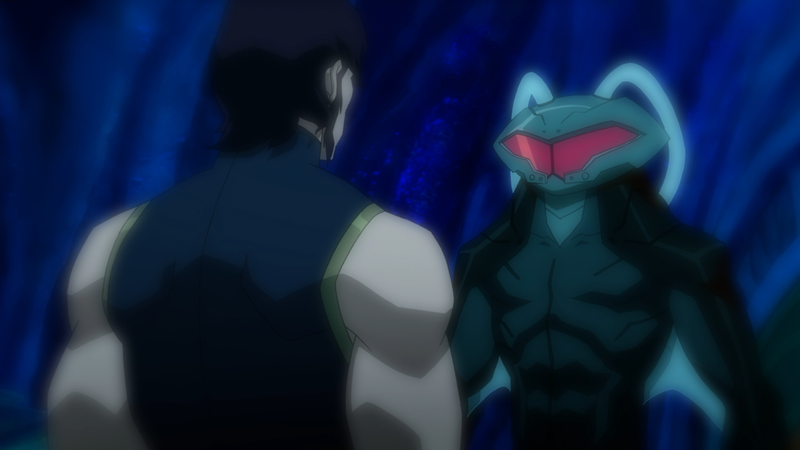 Villains of the Deep (11:33) looks at the antagonists featured in the film (Orm and Black Manta). Scoring Atlantis: The Sound of the Deep (30:05) is an extensive featurette on the score/soundtrack and how the composer (Frederik Wiedmann) came up with some of the themes. Robin and Nightwing Bonus Sequence (3:50) – This was a sequence that was deleted involving Robin and Nightwing and a conclusion to the Scarecrow side storyline and teases Batman vs. Robin. Throne of Atlantis: 2014 NY Comic-Con Panel (26:44) is where the Matt Lanter (voice of Aquaman) and certain crew members sit on stage and answer questions about their latest movie. 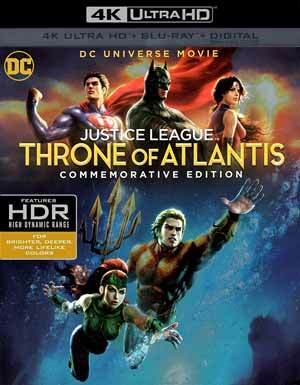 Justice League: Throne of Atlantis is presented with a 1.78 widescreen aspect ratio and given a 2160p high-definition transfer (HEVC codec). The biggest and most noticeable difference compared with the Blu-ray is that there the banding was either cut down or non-existent (at least I didn’t notice any major instances of it). Colors are alright though not all that brighter or vibrant by comparison. 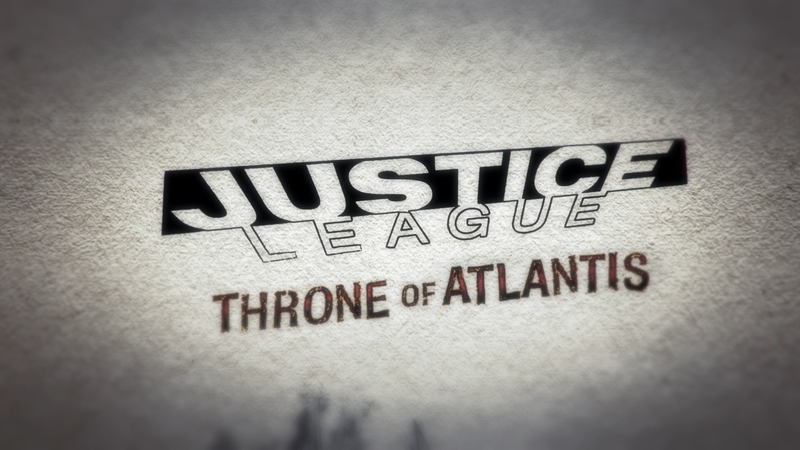 Overall, Justice League: Throne of Atlantis is not DCUA’s best output to date but it’s a perfectly entertaining film with a few flaws, primarily the limited running time. 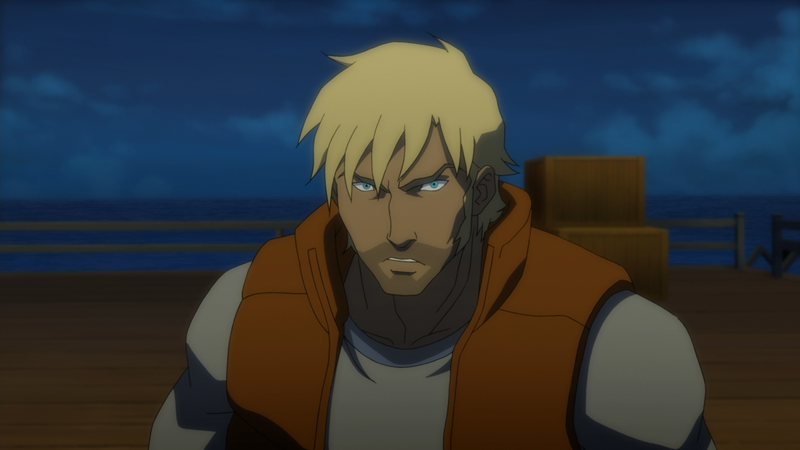 But the voice casting is mostly good, even Jason O’Mara, and on the whole I enjoyed it and some of the darker humor and taking the PG-13 rating to the limits in terms of animated fair.